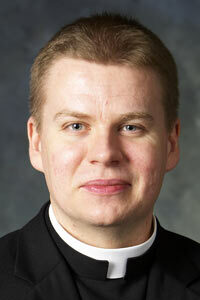 Cardinal George is expected to ordain 11 new priests for the archdiocese May 17 at St. Juliana Church, 7201 N. Oketo. The men are a diverse group, with five from Poland, two from Tanzania, two from Mexico, one from Colombia and one from Ecuador. 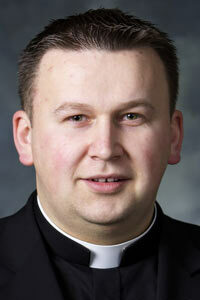 All accepted the Archdiocese of Chicago’s invitation to leave their homeland and minister to the church here. The men are a younger group than those ordained in recent years, with an average of about 29.5 years old. Last year’s class of 13 had an average of nearly 33. They were welcomed as young men at Abramowicz Preparatory Seminary, for seminarians coming from Poland; Tuite House, for African-American and African young men discerning a call to the priesthood; and Casa Jesus, a house of discernment for young men from Latin America. The Catholic New World congratulates them. 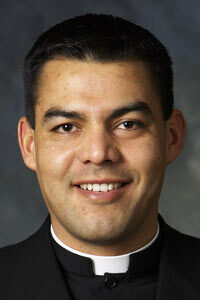 The fourth of his parents’ 10 children, Ávila studied for 10 years in seminary in Aguascalientes, Mexico, before coming to Casa Jesus in Chicago. He sees himself as adaptable to new situations, while having strong moral opinions. “I am aware (that I need) to be a real example of Christ and my desire as a man with values and mores is to serve to the people of the Archdiocese of Chicago as good and holy priest and be a bridge between God and his people in this local church,” he wrote. Berrio had no thought of becoming a priest when he was a child, but his family practiced its faith with simplicity and devotion, attending Mass each Sunday, praying every evening and living in solidarity with people who were less fortunate. Berrio entered law school after high school, but left to study philosophy when he started thinking about the priesthood. After finishing his philosophy studies, he was accepted into Casa Jesus, where he studied English and American culture while he considered whether he should become a priest for Chicago. 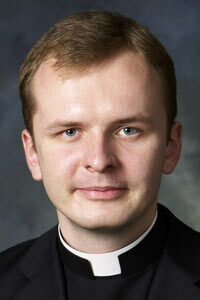 Maciej Galle did not enter the seminary directly out of high school in Czestochowa, Poland. Instead, he studied at the Catholic University of Lublin for five years, earning degrees in canon law and in public relations. 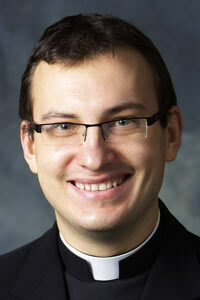 His vocation, he said, was influenced by his uncle, a priest in Czestochowa, and his own parish priest growing up. He hopes to bring “faith, hope and charity” to the people he serves, he said. And if he has time, he likes to play the drums and ride his motorcycle. García, the fifth of nine children in his family, heard the call to the priesthood early in his life, entering the high school seminary at age 15. 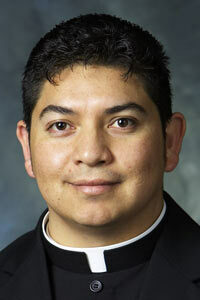 He completed his high school and college seminary studies in Jalisco, Mexico, before coming to the United States. In the Chicago area, he worked for a year at a factory in Des Plaines before entering Casa Jesus to learn more about the archdiocese and to learn English. 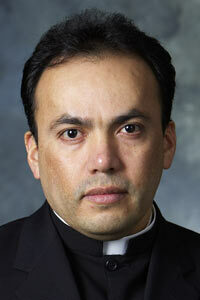 Priesthood will be a challenge, but García is confident. 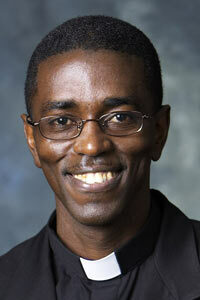 “I really believe that when God asks us to do something, he gives us the ways to accomplish his mission,” he said. 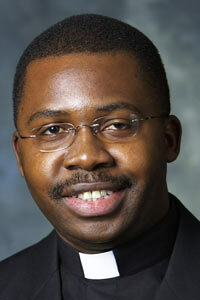 Lewon’s family moved back to Poland, and Lewon continued to feel he was called. He was especially drawn to the works of theologian Joseph Tischner and his inclusive theology. Mgimba was attracted to the idea of the priesthood ever since he started serving as an altar boy after making his First Holy Communion at age 9. He enjoyed the Mass and would memorize the Eucharistic Prayers, saying them in his head as the priest recited them. But he also was attracted to the idea of being a doctor, and wasn’t sure which way to go, until a sister who taught him told him he could do both. 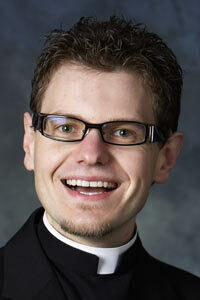 But over the years, it became clear to him that God wanted him to be a priest. It wasn’t as clear to his friends. “I remember some of them laughing,” Mgimba said, saying they didn’t understand why he would choose a life where he could not marry, that would take many years of education and that, in their eyes, was just not much fun. But he was not discouraged by people who did not understand, even when he came to Chicago and, as a seminarian taking classes at Loyola University, was asked by women students if he was gay. Before coming to the United States, he entered a missionary order and began seminary studies. But he decided that his vocation was not to missionary work. Then he heard about the Archdiocese of Chicago and Tuite House, a house of formation for African-American and African men who are discerning a call to the priesthood. Mhagama was temporarily called back to his home in Tanzania because of a family emergency and was not available for an interview. But that presentation opened a “conversation with God” that continues, Molina said. In it, he has found unchanging truth, which is the measure of the culture, he said, not the other way around. 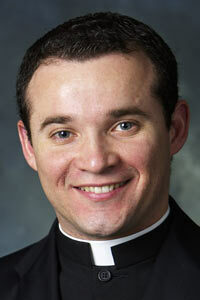 His vocation as a priest, Molina said, is to help people discover, or rediscover, that essential truth. He thinks everyone has a calling from God, and his is to serve the people of God. Who influenced your vocation and how?